Among the most important threats facing marine ecosystems today is the combined impact of multiple stressors. Stressors in marine and estuarine ecosystems have a large number of forms and sources. Most stressors represent the extremes of normal environmental variation that have increased in frequency or severity as a consequence of human activities. Given their ubiquity, several stressors often simultaneously affect organisms, populations and communities. 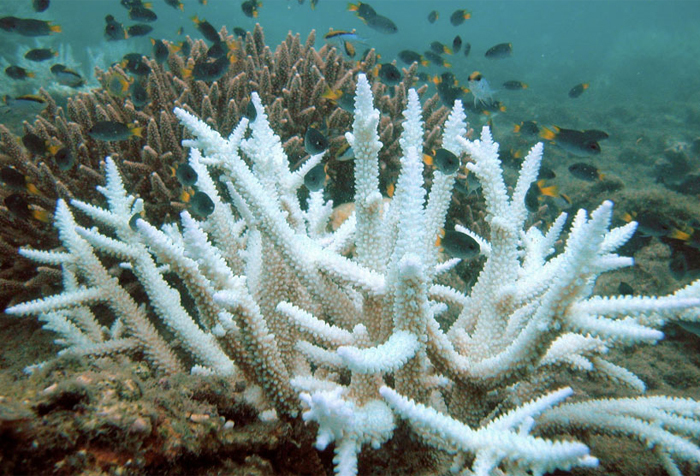 Marine ecosystem stressors that are of particular concern in the Indian Ocean include warming, sea-level rise, deoxygenation, acidification, eutrophication, atmospheric and plastic pollution, coastal erosion and overfishing. These stressors, combined with other physical consequences of human activities, are affecting marine biological processes from genes to ecosystems, over scales from rock pools to ocean basins, impacting ecosystem services and threatening human food security. How are human-induced ocean stressors (for example, warming, sea-level rise, saltwater intrusion, deoxygenation, acidification, eutrophication, atmospheric and plastic pollution, coastal erosion and overfishing) impacting the biogeochemistry and ecology of the Indian Ocean? How, in turn, are these impacts affecting human populations? CHAIR UK Centre for Law and Environment, and Institute for Sustainable Resources, University College London, UK. Dr. R. Kirubagaran India National Institute of Ocean Technology (NIOT), Chennai, India. Dr. Intan Suci Nurhati Indonesia Indonesia	Research Center for Oceanography, Indonesian Institute of Sciences (LIPI), Jakarta. Ms. Lousie Heaps UK WWF-UK, Living Planet Centre, Woking, Surrey, UK, GU 214LL.